Recent footage of the Batwing from The Dark Knight Rises. Pew pew! That is all. Click to see more. Of the suit, you pervert. Daily Mail has recently posted pictures of Anne Hathaway in what appears to be a much more complete Catwoman costume. Not bad, but how the hell she plans to run in those heels is beyond me. Oh, also among the pictures are a few of Christian Bale’s Batman and some of the vehicles that will be in the movie. Including a strange contraption they claim will be the Batwing. I’m guessing CG will provide the actual wings. In other news, several of my compatriots have recently updated their blogs. Sarah Cawkwell posted about Games Day. Good ol’ Raziel4707 talked up a raunchy storm at his blog, while MisterEd discussed Batman in his comic book form. Check them out. On the writing side of things, still chugging away at updating pieces to submit. I want to get at least one piece finished this week and ready to send into a publisher. I do this for Aiur! ... Wait, wait, wrong game. So a day ago, Narravitium and I were chatting about the works of Aaron Dembski-Bowden. I mentioned that his book titles Soul Hunter and Blood Reaver made me wonder if they were influenced by the Legacy of Kain game series. Oh no, of course the Night Lords legion aren’t vampires, but they damn well feel like them sometimes. Still, it’s a stretch of the imagination. But the plus side is that I remembered some damn fine music for writing. So I raided my old game collections to find some ideas. Time for a nostalgic trek. Ozar Midrashim, Legacy of Kain: Soul Reaver OST. 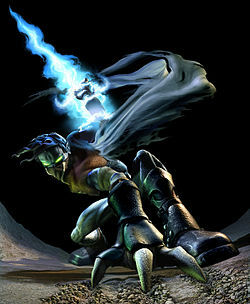 I certainly liked the Legacy of Kain series. They were not the best made games technically, but the story was solid and involving and the puzzles were a turn on. I hear rumors, unconfirmed, that a reboot maybe in the works but we shall see. This link is actually both Ozar Midrashim and the ending credit music, but both are quite good. It’s an incredible piece that screams “war against the light” in my mind. Artificial Sky, Armored Core 3 OST. Armored Core is another of my favorite game series and has a faithful cult following. Both my brother and I loved playing it. I like the customizations and the nice multiplayer aspect to it. I await the day that the developers really create an end-all game that is fully networked for co-op and competitions. I may talk about the background of Armored Core in a later blog entry. You may also want to check out Precious Park but it has lyrics. Contra Rock-Metal Remix, by Vomitron. The Legend of Zelda Orchestrated, by the Boston Symphony Orchestra. I loved the old school Zelda games. The newer ones took the series in a slightly different direction. That, and they kept pumping them out non-stop. The over-franchising kind of ruined it for me, but I don’t hold it against people who love it anyway. Staff Credit, Final Fantasy Tactics OST. Sigh. I love this song. It reminds me of the challenges I faced, the characters, the story and plot that were deeper than an ocean. It makes me nostalgic for the first game I ever owned on the Playstation and, to this day, one of the greatest games I will ever play. I know, I know, new titles for Final Fantasy Tactics came along, but they just weren’t as incredible from what I played. The direction Square Enix has taken the Final Fantasy series in general has been too goofy for me. But I still have my classics. Love Song, Dragon Warrior 2 OST remixed. Old school as they come, Enix software was the only real competition Squaresoft had in NES RPGs for quite a while. The first game was simple, but they got better, adding parties and abilities and developing better stories and characters. I’m sorry, but you’re going to have to listen to this song. But thou mu- okay, I’ll stop now. 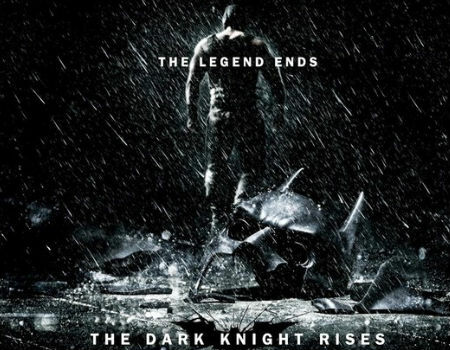 I really hope this line is used in 'The Dark Knight Rises'. Batman Level 1 Remix, by Farmhouse Media. Sunsoft made a decent platform game when it brought the Batman series to the NES. But the one thing that has stuck with the gamers throughout the years has been the very impressive soundtrack that came with it. Take a hard look at the sheer number of remixes for that game. 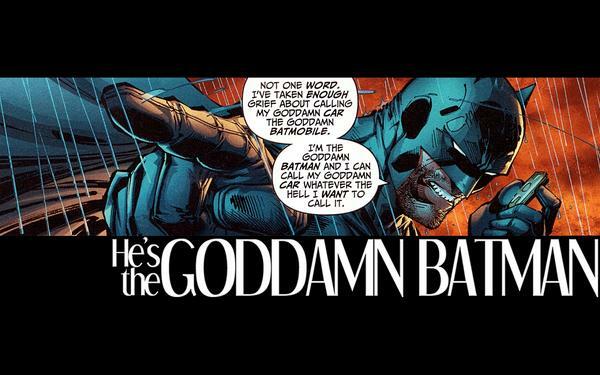 That, and the fact that he’s the goddamn Batman. Megaman X – Storm Eagle Theme Remix, by Chikusho Sound Team. There are many harder and faster remixes than the one issued by Chikusho Sound Team. But I pulled myself back and reminded myself that the music I’m finding is primarily for writing. If you want something more intense however, check out the Powerglove Remix version. Double Dragon theme, by NESkimos. If there was anyone I’d want to see do a Double Dragon remake, it actually would be Rockstar Games. And I’d want them to reboot the series, adding some moral grey areas that let the player decide between being the good or bad, taking over gangs and the streets or helping people out. And as a result, which of the two brothers you are at the end of the game. The Warriors on PS2 was both my favorite game and one of my favorite movies. 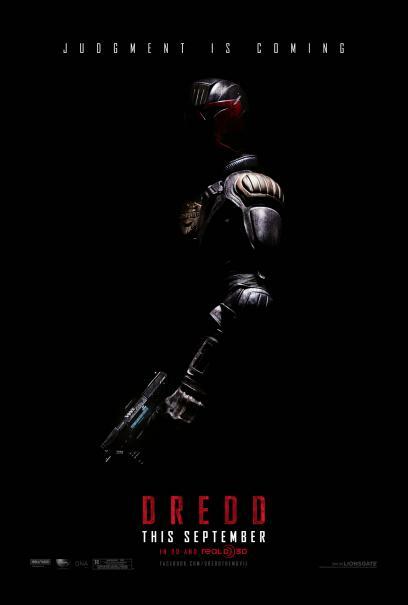 That sir, is a remake and franchised game done right. Main Theme Orchestrated, Secret of Mana OST. So too many of my themes have really focused on pumping up their audience. This one is much slower, much more mystical. The game itself was mystical as well, being a 3-player RPG that my buddy Ben and I played throughout our youth. It was a colorful game, a very basic fantasy story. It’s a shame that future titles just did not deliver like the first one, but I’ll never forget the first title.